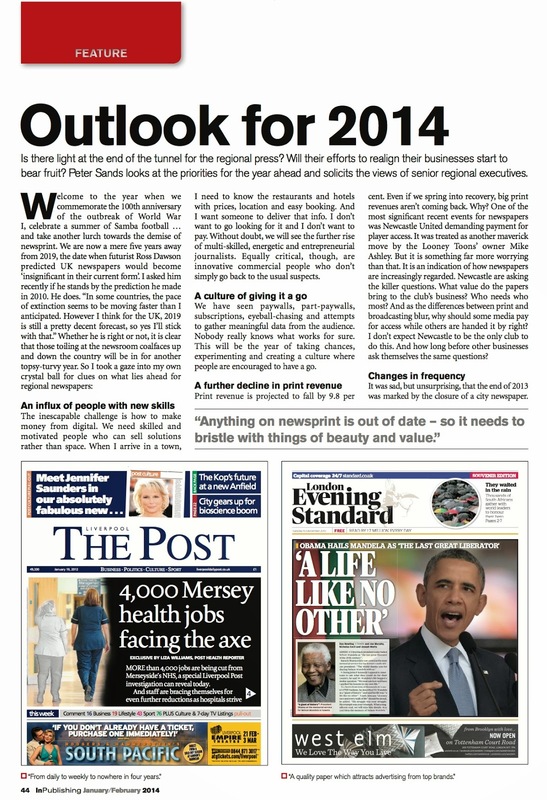 If you work for a regional newspaper what can you expect in the coming year? 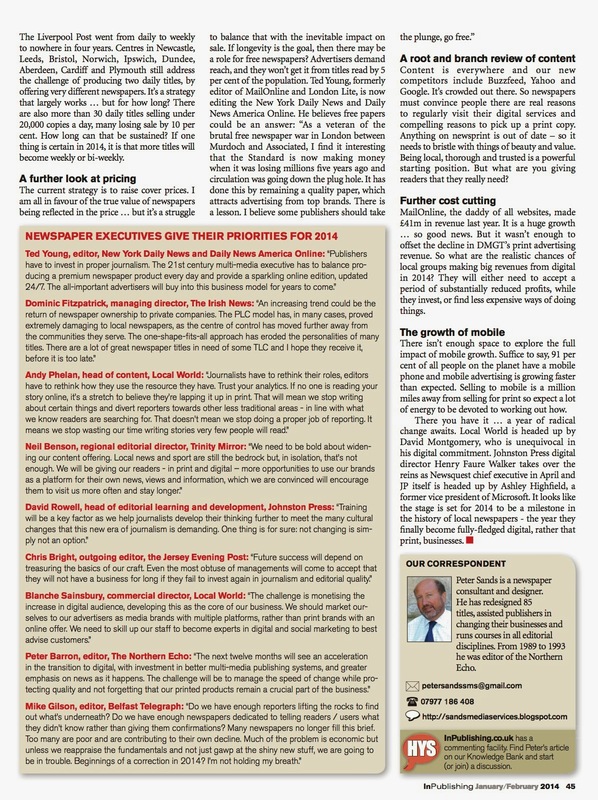 InPublishing magazine asked me to offer a view - and I also solicited the opinions of the great and the good from the industry. The consensus, unsurprisingly, is that there are plenty of challenges and, inevitably, plenty of changes ahead. Click here to read it.